Who was Stalin? The man who defeated Nazism? The “Little Father of the Peoples"? Or the greatest criminal of his time? 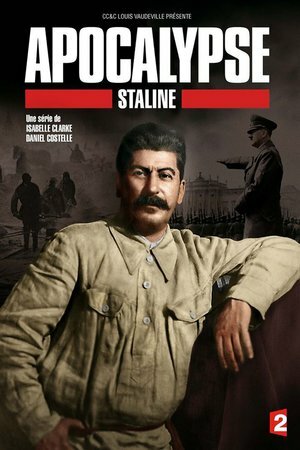 In Apocalypse Stalin, three 52-minute episodes, Isabelle Clarke and Daniel Costelle paint the portrait of one of the fiercest despots of the twentieth century, using archive film of the day. This footage has been perfectly restored and beautifully colorized by the Apocalypse production team. Starting with the fight to the death against Hitler, the series tells the story of the incredible rise to power of Joseph Jughashvili. This cobbler's son from Georgia started with nothing and made his way up the ranks through various intrigues and crimes, ultimately rising to absolute power and adopting the moniker Stalin - “man of steel" in Russian. From a human standpoint, the series describes the enormous tragedy that befell the Soviet people between 1878 and 1945, as they found themselves caught in a trap that became a living hell.